Hello guys, thx for this guide ! That's not working for me. I'm looking for news solutions. Someone had one other ? Oh okay. I wasn't aware that there was a brand new release today. The guide worked fine with previous build. I'll make a fresh copy and see if I have the same symptoms. I'll update the guide accordingly and see if the posted fix solves it. I just tested with the standard full desktop raspbian-jessi image, Jan 11, 2017 version and everything works OK.
Something is missing or a default configuration has changed from raspbian-jessie-lite that now causing startx to stop physical mouse and keyboard i/o. Maybe the physical mouse and keyboard are being redirected to the RPi's video instead of the HDMI. I'm using an HDMI monitor instead of the RPi's ribbon cable video port. 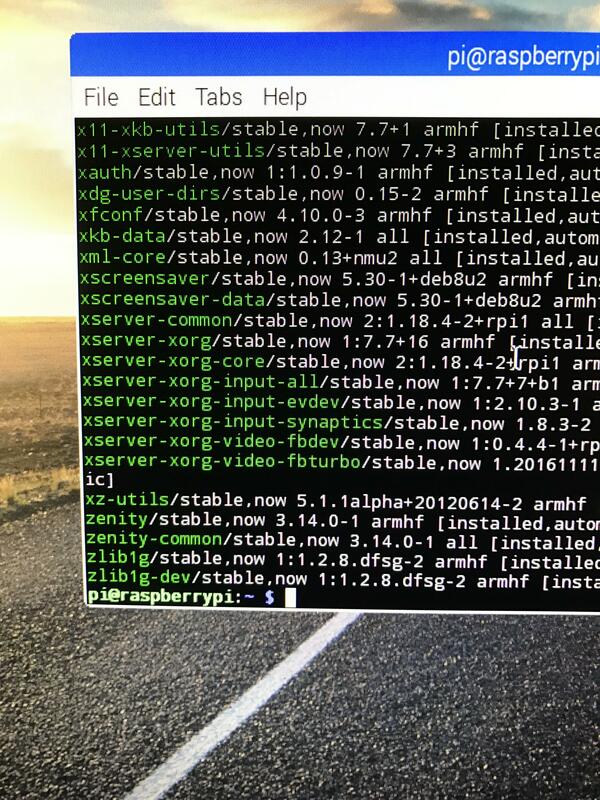 I tried installing and running rpi-update and it did not fix the problem. I too had the same problem, was driving me mad. I fixed it by doing the following. After that, all was fine. Including the following code in the xserver installation tasks fixed the Jan 11, 2017 Raspbian-Jessie-Lite keyboard and mouse problem for me for startx (before lxde-core installed) and LXDE. GhostRaider wrote: Now, go to STEP 3.
and press Enter. Install the packages. If I am doing the Pixel install using your guide, do I need to install the above "lightdm" or not? It's installed automatically, meaning that lightdm package was included when you installed the pixel desktop environment. If you run that command right now, nothing will happen. Thanks, I'm going to try again now with the fix that AIPea posted. Friends, I couldn't reproduce the problem. I just did a clean install of Raspbian Lite with PIXEL and encountered no problems with keyboard or mouse. I believe it was a simple repository bug. The driver used for input devices is xserver-xorg-input-libinput which works in conjunction with xserver-xorg-input-all. These are both installed when you use sudo apt-get install --no-install-recommends xserver-xorg. GhostRaider wrote: Friends, I couldn't reproduce the problem. I just did a clean install of Raspbian Lite with PIXEL and encountered no problems with keyboard or mouse. I believe it was a simple repository bug. The driver used for input devices is xserver-xorg-input-libinput which works in conjunction with xserver-xorg-input-all. These are both installed when you use sudo apt-get install --no-install-recommends xserver-xorg. You are correct - I observed xserver-xorg-input-libinput and xserver-xorg-input-all were installed by the xserver-xorg install. Normally, I could next install xinit and x11-xserver-utils, reboot, login and type startx. When it worked, prior to Jan 11, 2017 raspbian-jessie-lite, I would see and be able to move the "X" mouse cursor and type "exit" to quit. Now, after Jan 11, 2017, there is not "X" cursor and keyboard does not work - not even CTRL+ALT+DEL. Installing the raspberrypi-ui-mods, lxde-core, and lightdm do not make a difference. They start OK, but no mouse or keyboard I/O - not even numlock on/off. When I add the "sudo apt-get install xserver-xorg-input-evdev", after the xserver-xorg install, then everything works as before Jan 11. In my case, this is certainly an acceptable command to add for repeatability. I have not tried the Jan 11, 2017 raspbian-jessie-lite image on a RPi Zero yet. I have only tried 2 RPi3B+ units. I am using an HDMI monitor not a TV and not the RPi's ribbon video/touch screen. I'm not sure if that makes a difference. The US keyboard and mouse are from a typical Dell PC. I tried 3Amp power supply and it did not make a difference regarding this issue (I'm back to my 2.1 Amp power supply now). I appreciate your work on this project. I also like that using this procedure I can create both a Debian virtual machine and a Raspian RPi that look and work almost exactly alike. It is especially valuable for RPi Zero! Hello - I had a similar problem where my mouse/kb don't work in pixel after installing from retropie (they work on the same box when I put in SD card with fresh raspbian install). But when I try to sudo apt-get install xserver-xorg-input-evdev, I get a 111 connection refused error. Any alternatives for installing that file? I downloaded a copy and tried to drop it in the folder using cyberduck but it didn't seem to want to allow permission there, and not sure if that's a valid way to add such a file. From what I've read libinput is the successor for evdev. I tried the new build on a Rasperry Pi 2 earlier today using default libinput and it works fine for me. Not sure what evdev has that libinput doesn't work in your case. However, I did take the time to look at the installed packages on the previous version of Raspbian Lite and I can confirm that xorg-input-evdev was installed instead of xorg-input-libinput. So the change was made by the Raspian team or it's an unintentional bug. I would have to install the official Raspian and see the installed packages to confirm. And glad the guide helped! It can be implemented on PCs as well. The key thing is to figure out the essential packages to get the os running on the hardware. That's how distros are created. ah0bbs wrote: Hello - I had a similar problem where my mouse/kb don't work in pixel after installing from retropie (they work on the same box when I put in SD card with fresh raspbian install). Seems to be an issue with the main Raspbian repository, I was in the middle of re-doing this guide, and started getting errors. I changed my repository to a local one in my country and now I can continue. Finally ... after some kind of bug in the official repository that caused the mouse/keyboard issue, and now yet another issue with the official repository being offline for the afternoon ... I have finally managed to get a clean install of Raspbian Lite as per the guide (nothing extra or changed from the guide). Noob here, and I have a possibly silly but simple question. If I install Pixel or Mate over Raspbian Lite, does the auto USB mount still work like in regular Raspbian/Pixel? The reason I'm asking is I had the RetroPie image (built on top of Raspbian Lite I believe) and used the setup script to install Pixel. I've tried this several times, and various things within the GUI are broken. Trash/Wastebasket doesn't work, and sticking in a thumb drive does nothing and I have to manually mount it. I had a NOOBS install of Raspbian and all this worked fine before. I'm unsure if it's actually broken though, or some packages aren't installed. My plan is to follow this guide, using Mate, and then install RetroPie manually instead of using the image. If USB drives will mount automatically, I think I'll be all set. rsimmy wrote: Noob here, and I have a possibly silly but simple question. If I install Pixel or Mate over Raspbian Lite, does the auto USB mount still work like in regular Raspbian/Pixel? instead of the one seen in the guide. That should also provide auto USB mount. Though honestly it doesn't hurt to experiment. Thank you for the response! I'm just making sure if I build my own setup and install the Mate GUI I will have full functionality and be able to install RetroPie also and launch it from the command prompt. Can't hurt to try this I guess since I'm having so much trouble with Pixel. Also this is the only instance in my journey of researching Pi related things where I've learned you can install Mate over Raspian. Everything else points to "Ubuntu Mate for Raspberry Pi" so this is definitely interesting. I have to say, i'm really regretting buying this thing, it's been nothing but one headache after another, and the updates, and development cycle tends to be a lot like ubuntu's, fast paced, but the only real improvements are to the bugs that are introduced / reintroduced at every release. When trying to figure out what desktop environment works best for your Raspberry Pi, you would most likely reformat your SD / microSD card several times since there is no option of going back in time. You installed LXDE, but you didn't like it, so you reformatted and installed XFCE. Maybe you didn't like XFCE and reformatted again and tried MATE. Maybe you didn't like MATE and you just decided that you want to build your own desktop environment. In general, its a hassle. This is where a virtual machine comes into play. The virtual machine itself runs on top of a standard computer running Windows, macOS, or Linux. The operating system on your standard computer is known as the host operating system. The virtual machine running on the host operating system is known as the guest operating system. Since your Raspberry Pi is running Raspbian Lite, in reality, Rasbpian Lite itself is acutally a form of Debian Linux. Debian runs on a variety of hardware. 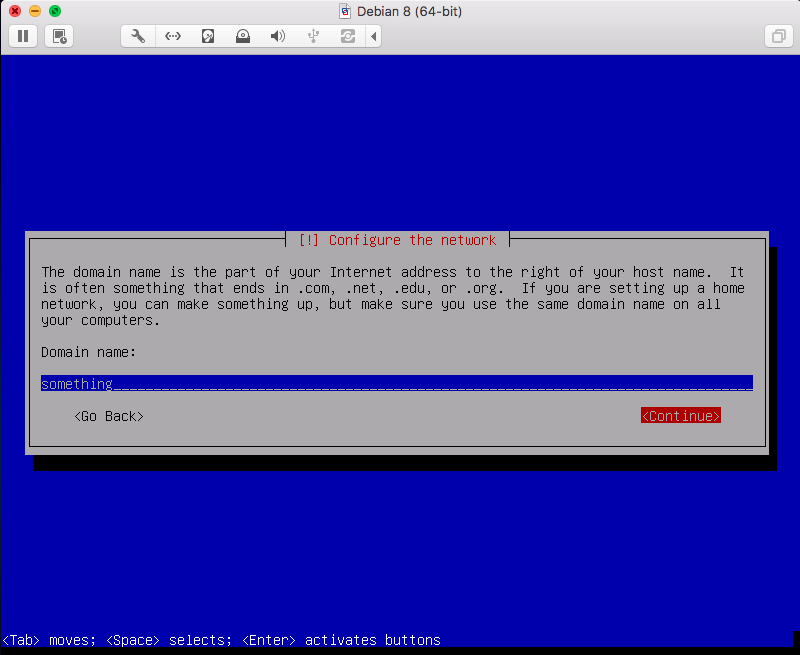 The difference is that Raspian Lite is a customized distribution of Debian so that it can only run on the Raspberry Pi. The repository used in Raspbian Lite only works there as well. So what does this all mean? 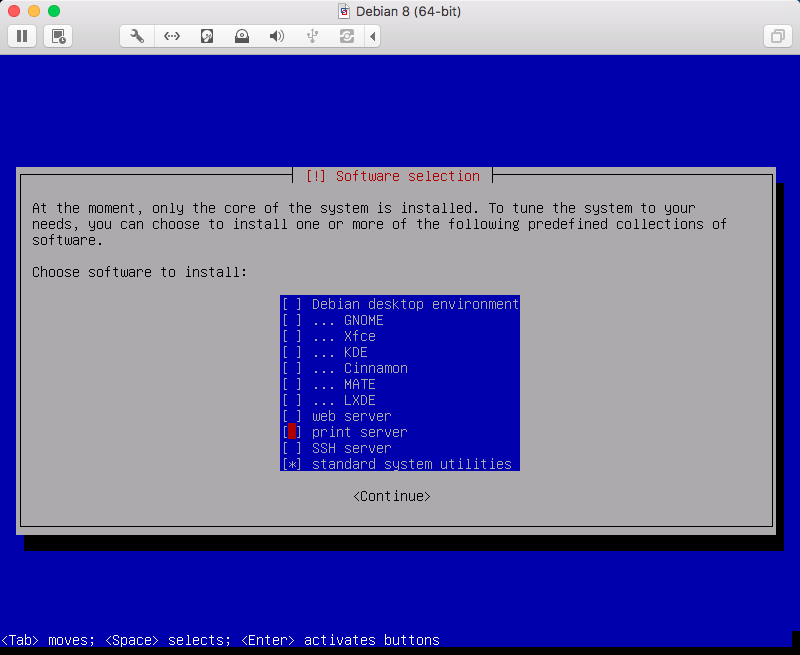 The idea is that you can "simulate" an installation of a desktop environment on a virtual machine rather than installing it on Raspbian Lite directly. It's basically a playground where no damage can me made and allows you to gain ideas on what your desktop environment should look like. All you need to do is write down what changes you made and when ready, repeat them when you are ready to implement it on Raspbian Lite. 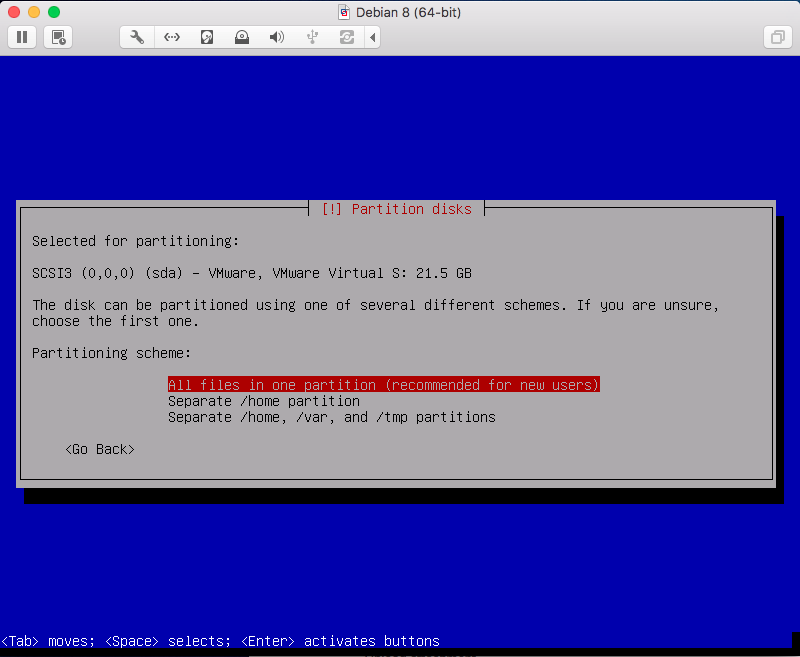 You will basically be creating a Debian Linux minimal virtual machine. As you read along, you will notice how its very similar to Raspbian Lite. 1. Install a virtual machine virtualizer on you computer. I will briefly go over the steps so make sure you have a general idea on how your virtual machine virtualizer works. 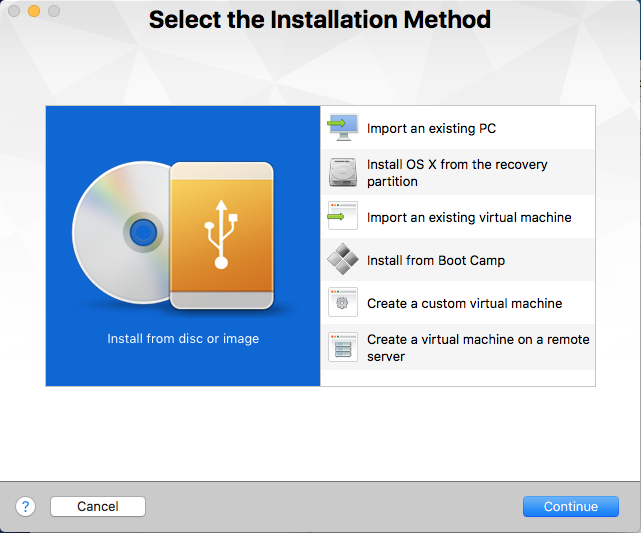 For this guide, I will be using VMware Fusion since I am running this on a Mac. Right Click > Open Image in New Tab to see full size images. You can either obtain the ISO image directly or by downloading it using a BitTorrent client. For 64-bit computers, you would click on amd64. For 32-bit computers, you would click on i386. In reality, it doesn't matter which one to download since it would be running on a virtual machine anyway. The general rule is that a 64-bit computer should run a 64-bit virtual machine. 2. 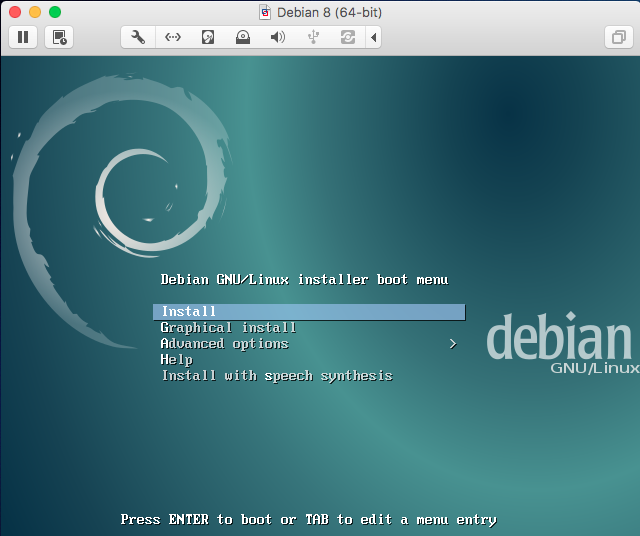 Once you have the ISO image downloaded, you are now ready to create a virtual machine of Debian Linux. 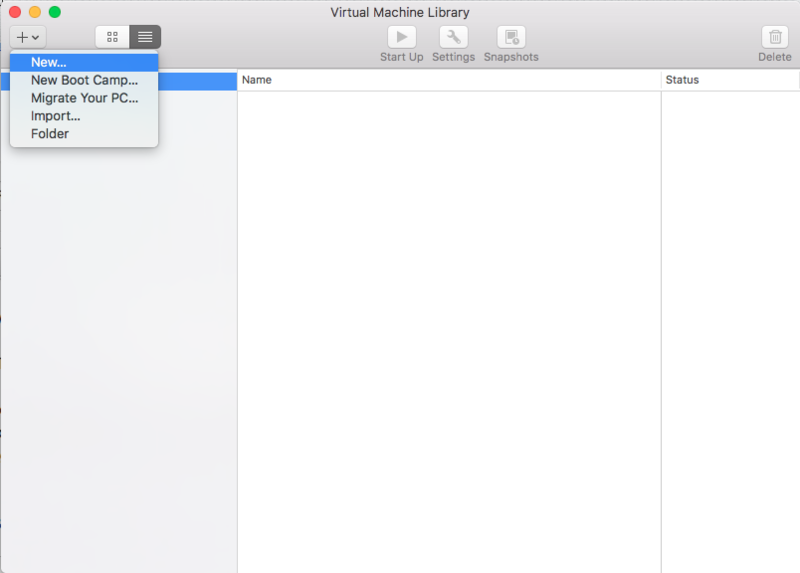 Open your virtual machine virtualizer and create a new virtual machine. 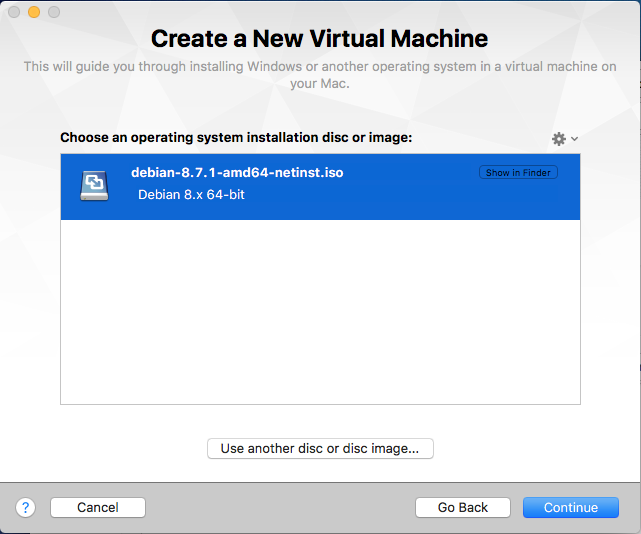 You will be creating a virtual machine using an ISO image. You should be asked to locate the ISO image. At one point, the virtualizer will recommend default settings. The default settings are fine for this tutorial but you can customize them if you wish. 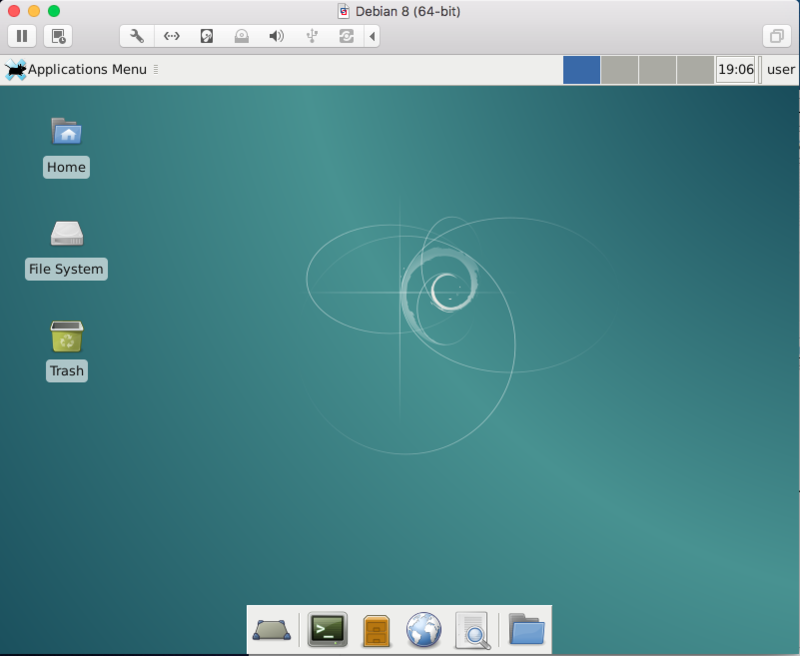 Once you have created your Debian virtual machine, you are now ready to run it on your computer. 3. 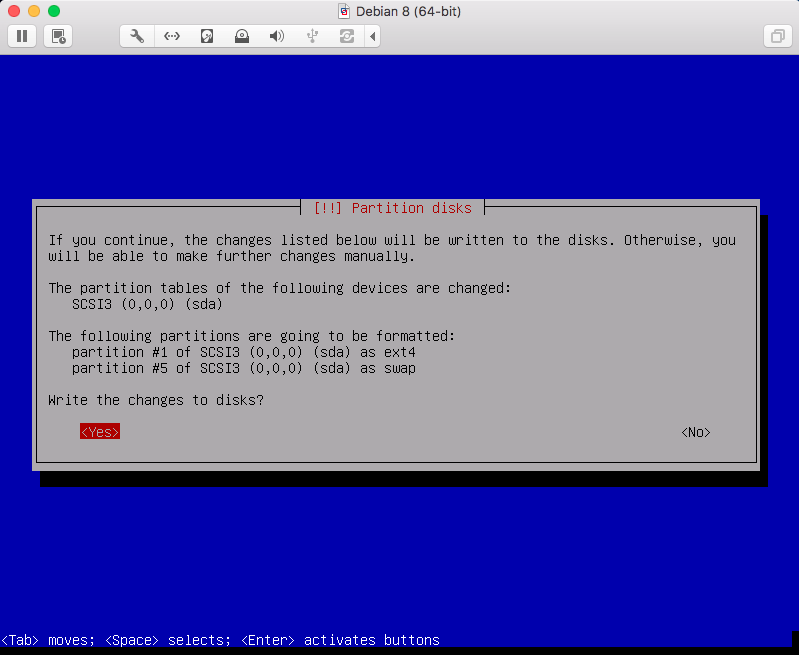 Start the Debian virtual machine. Using your keyboard, select "Install" and press Enter. We like to do things using the command line interface! Select a language to use and press Enter. Select your location and press Enter. Select your preferred keyboard keymap and press Enter. 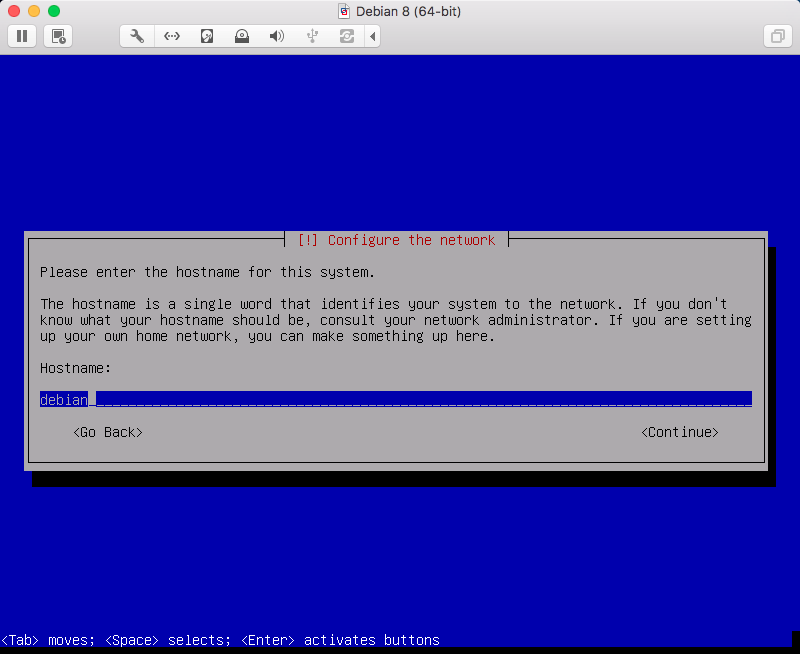 It will ask you to enter a hostname. It doesn't matter what it is. Once you entered a name select Continue and press Enter. It will ask you to enter a domain name. Again, it doesn't matter. Once you entered a name select Continue and press Enter. You will be asked to create a root password for the root user account. You will need to remember this password since you will use it later. Once you entered a password select Continue and press Enter. You will be asked to verify the password. You will now be asked to create a user account. It will first ask you to enter the name of the user. Once you typed a name select Continue and press Enter. You will then be asked to enter the login name of the user. Once you typed a login name select Continue and press Enter. You will be now be asked to create a password for the user account. Once you entered a password, select Continue and press Enter. You will be asked to verify the password. Select your time zone and press Enter. Select "Guided - Use Entire Disk" and press Enter. Since we only created one virtual hard drive disk for the virtual machine, only one disk will appear. Press Enter. Select "All files in one partition" and press Enter. All of the changes to the virtual hard drive will appear. 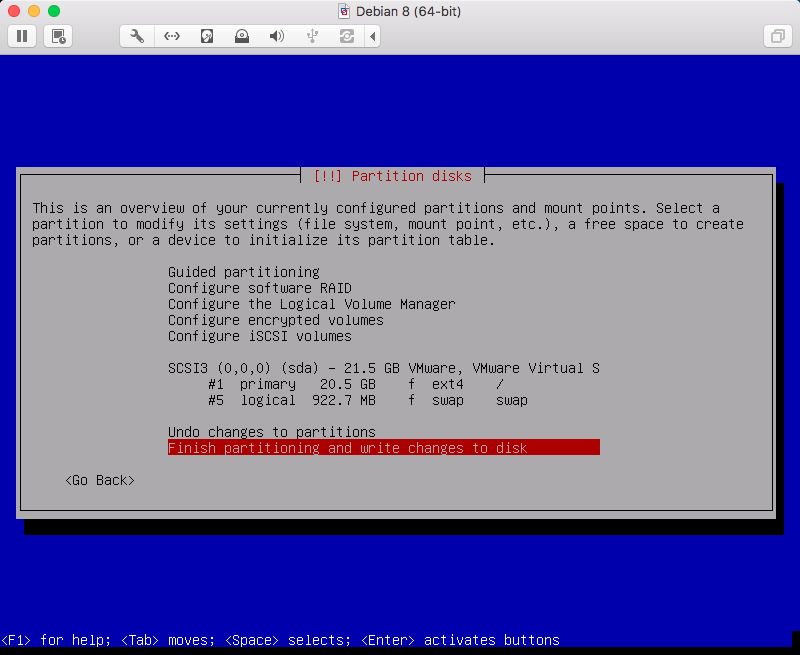 Select "Finish partitioning and write changes to disk" and press Enter. You will be asked to verify the changes. Select "Yes" and press Enter. 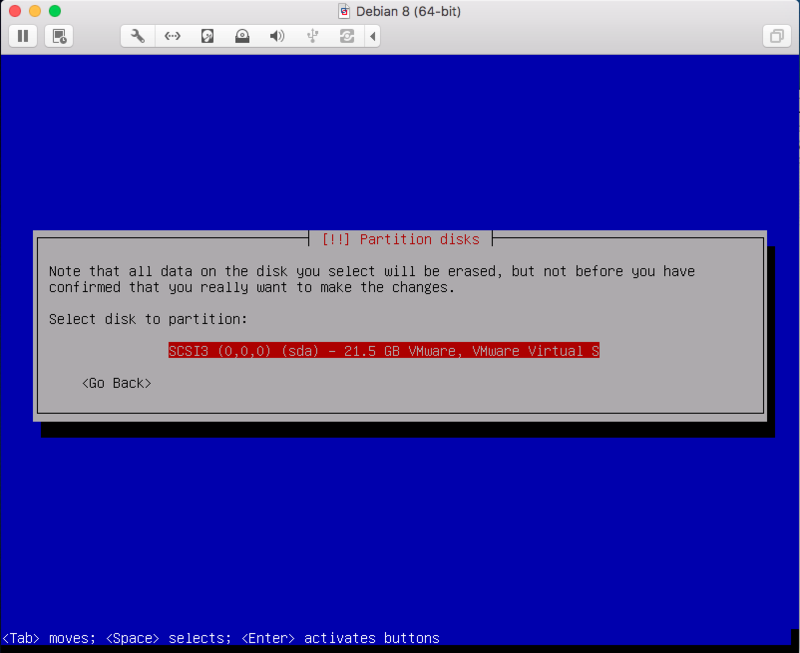 Debian will now install on the virtual hard drive. Select your location and press Enter. This will help in finding the closest package mirror in your location. Select your package mirror and press Enter. 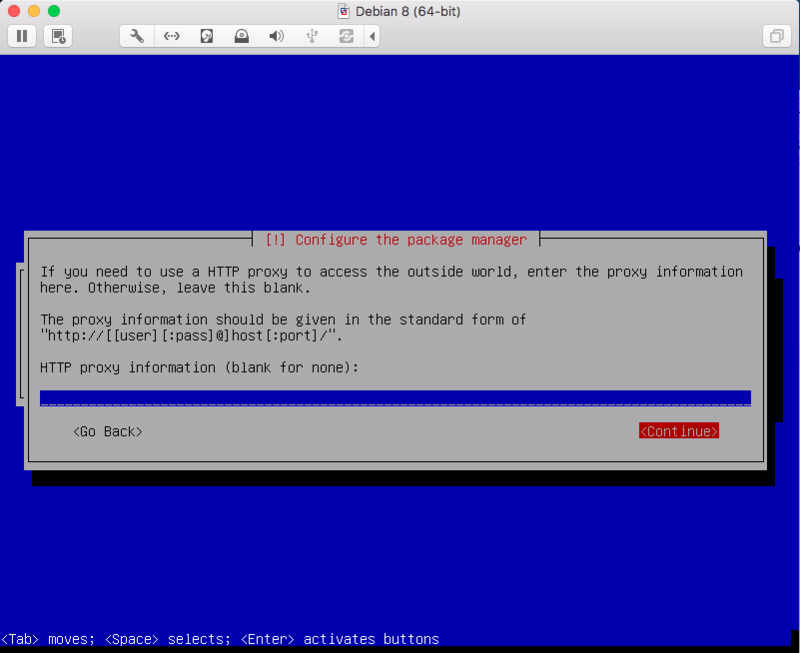 There is no need to enter any HTTP proxy information. Press Enter. This asks if you want to share information on what packages are installed. Select either "Yes" or "No" and press Enter. 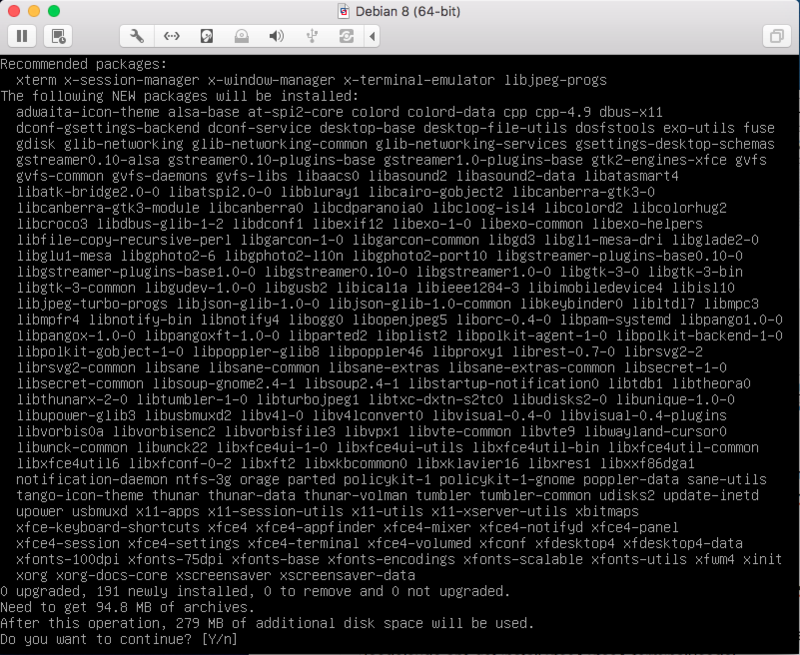 We only want the core of Debian in order to replicate Raspbian Lite. 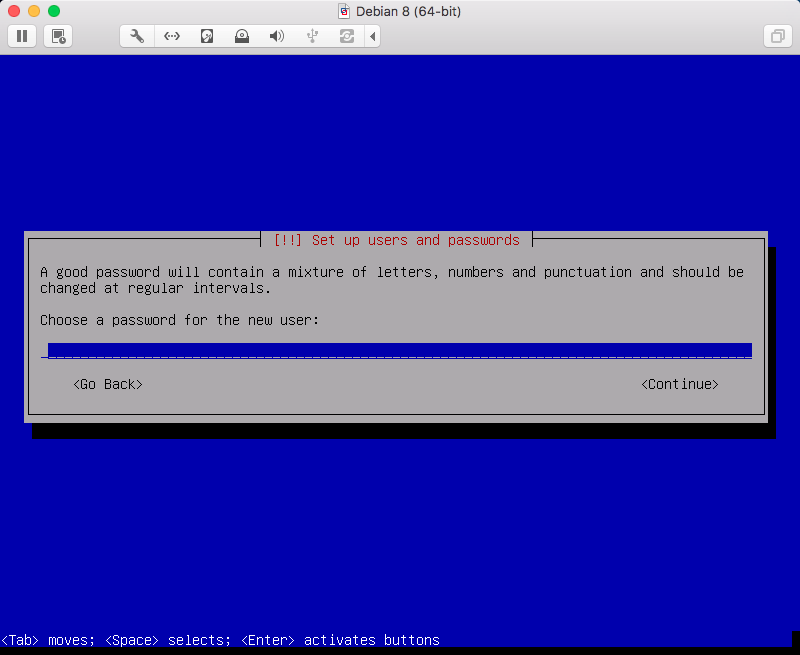 Unselect "Debian Desktop Environment" and "Print Server" by highlighting the option and pressing the Space Bar. Once you made your changes, press Enter. Debian will now only install the necessary packages to get it up and running. 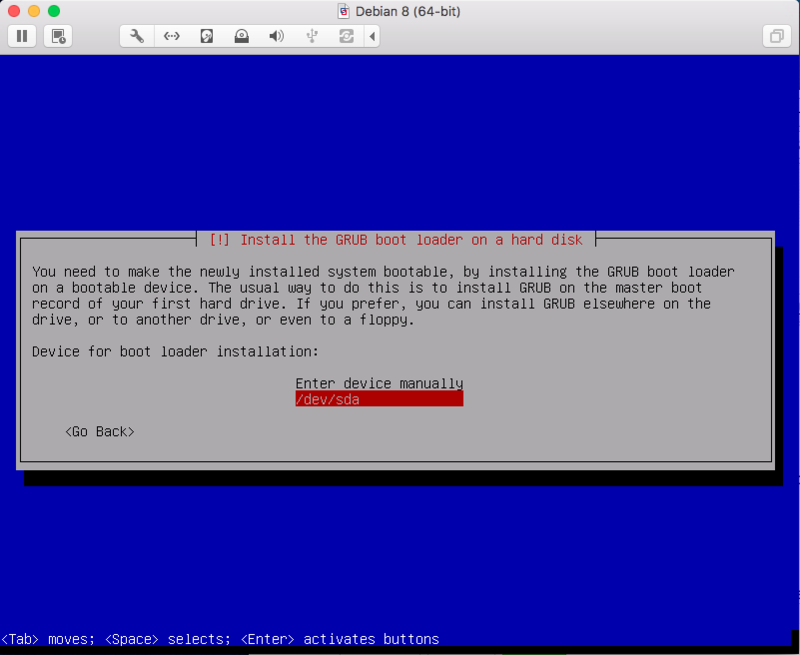 The Grub bootloader is required to boot up Debian. Select "Yes" and press Enter. 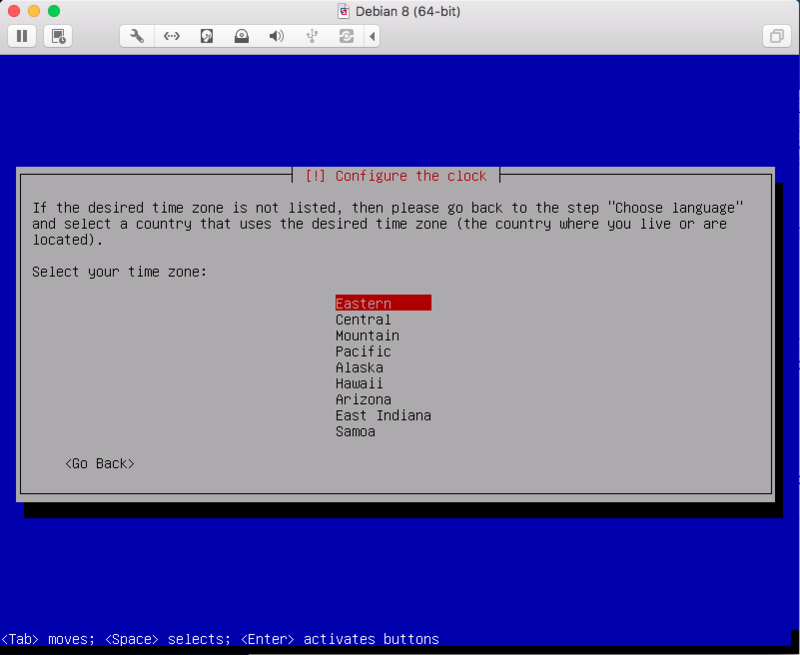 Select the option "/dev/sda" since that is the location where Debian is installed. 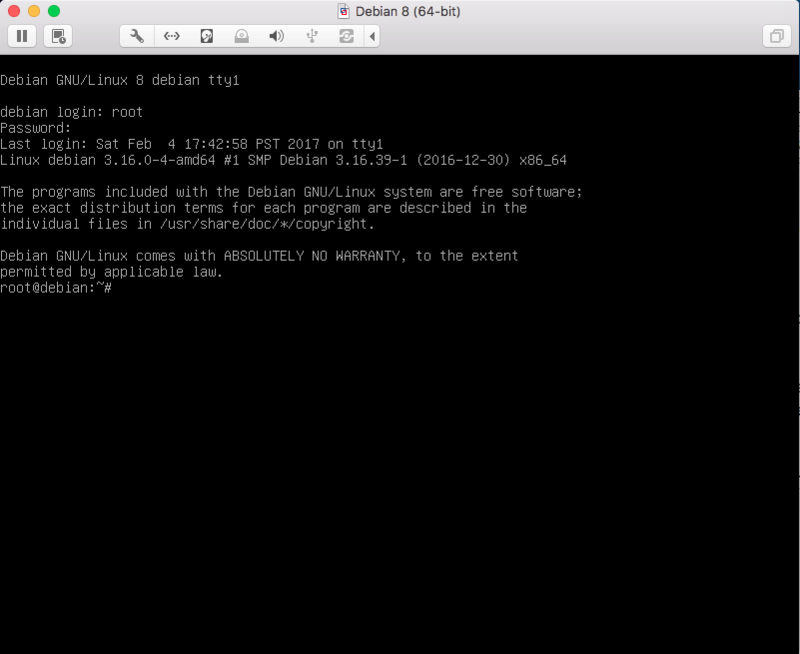 The Grub bootloader will use this location at each startup to find Debian. Press Enter. The installation is now complete. 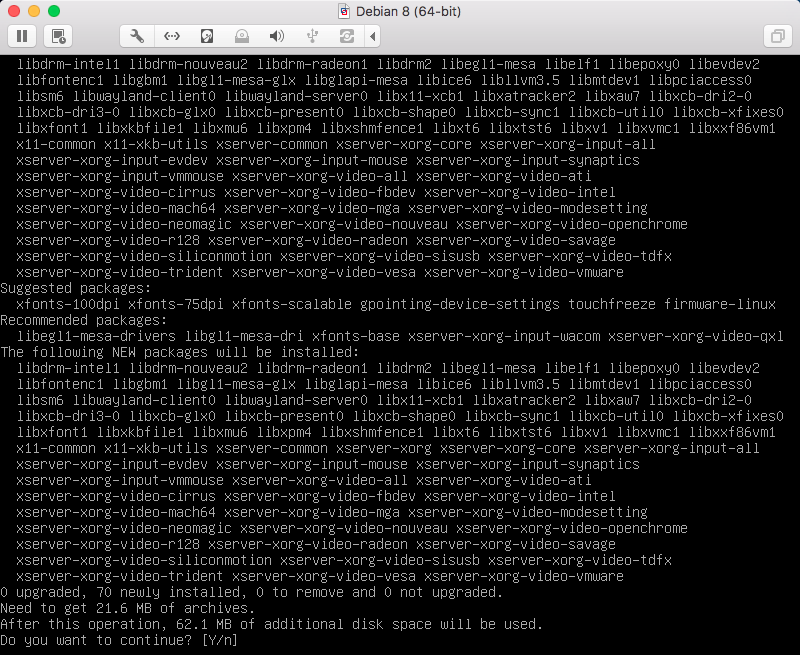 On some virtualizers, you may need to unmount the Debian ISO image or else it will keep booting to it. Regardless, select "Continue" and press Enter to reboot the virtual machine. 4. 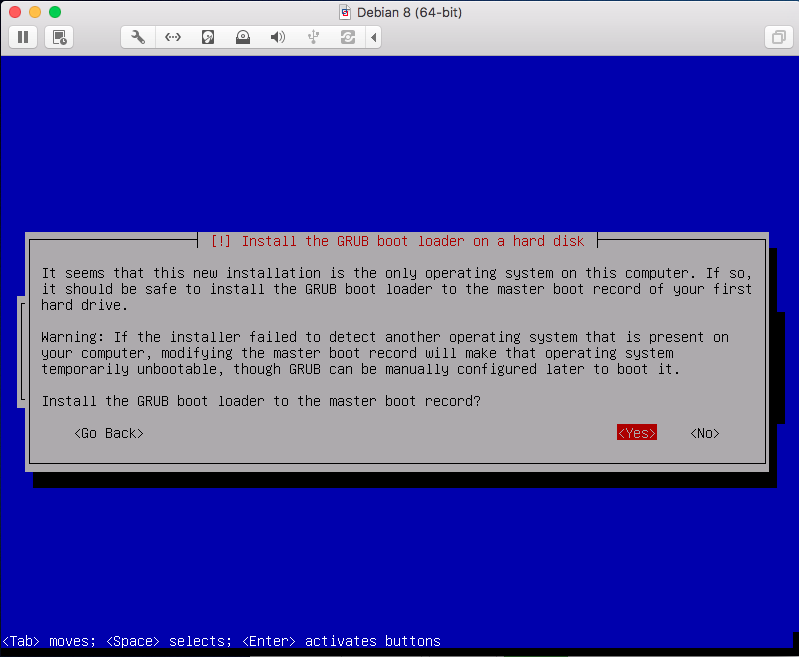 After the virtual machine reboots, you should see the Grub bootloader. 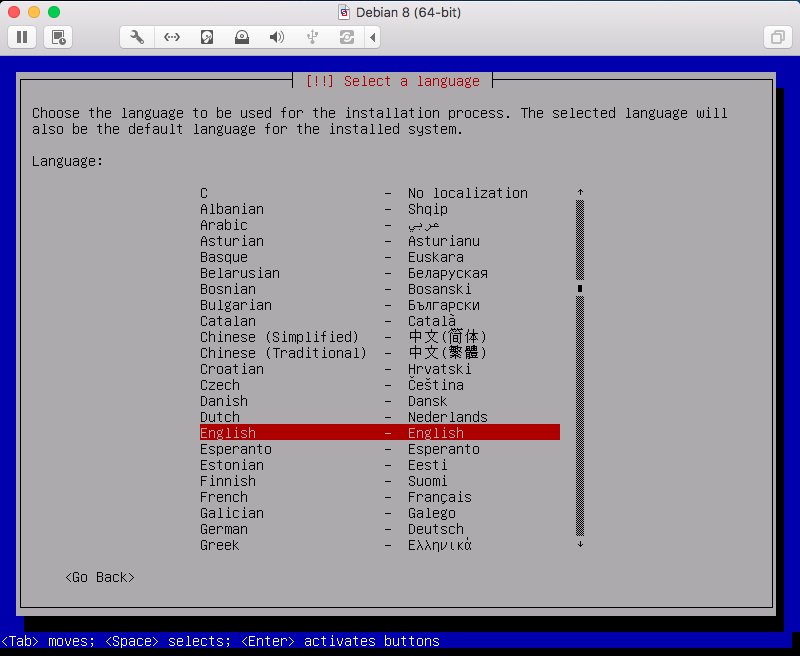 To boot Debian, select "Debian GNU/Linux" and press Enter. Once Debian has booted, you will be asked to log in. 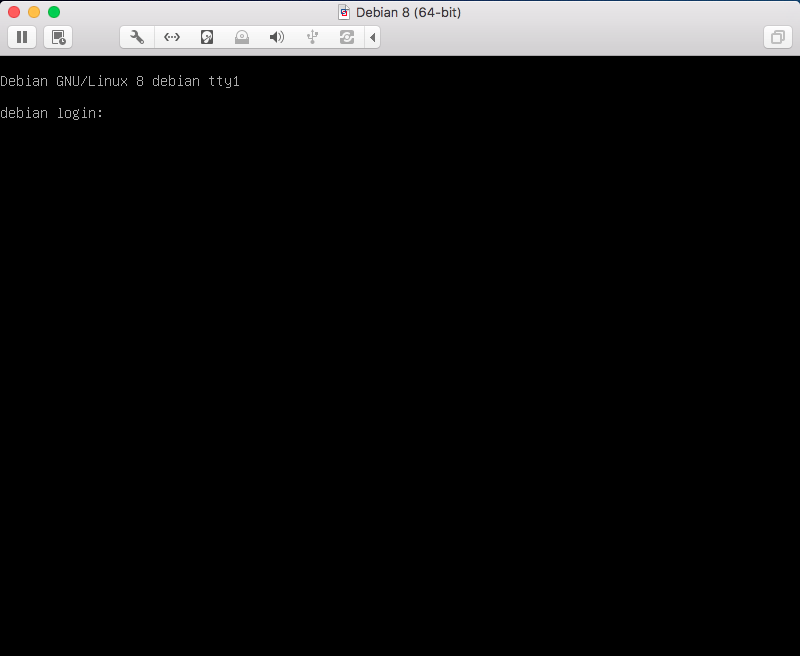 If you noticed, the command line interface (CLI) looks exactly like Raspbian Lite which means it will feel very familiar. 5. You will log in as root since we need to add a very important package known as Sudo. 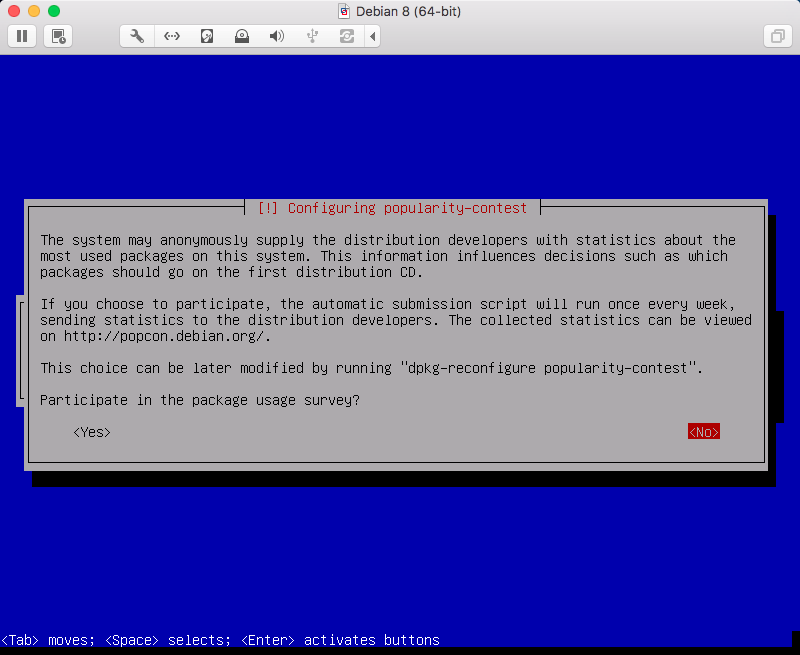 The Debian core does not include Sudo by default. 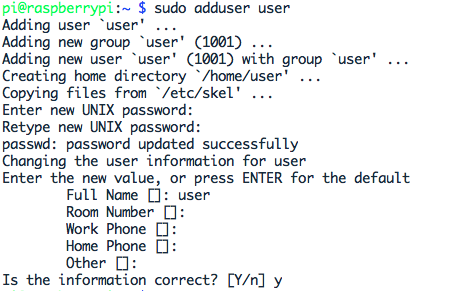 Sudo allows a regular user to perform administrative commands like "sudo apt-get update" or "sudo apt-get install somepackage". To log in as root, type in "root" as the login name, and press Enter. Enter the root password. You are now logged in as root. and press Enter. The Sudo package will automatically install. and press Enter. Replace YOURUSERNAME in the command to your username you created earlier. 8. 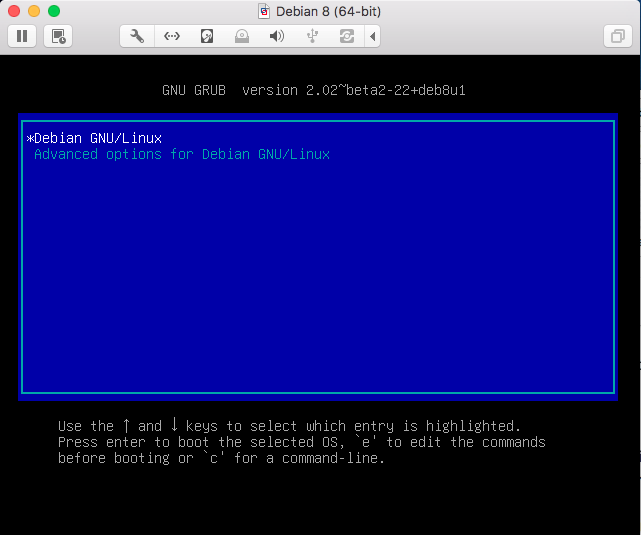 Boot Debian by selecting it in the Grub Bootloader menu. Once booted, you should see the login screen. 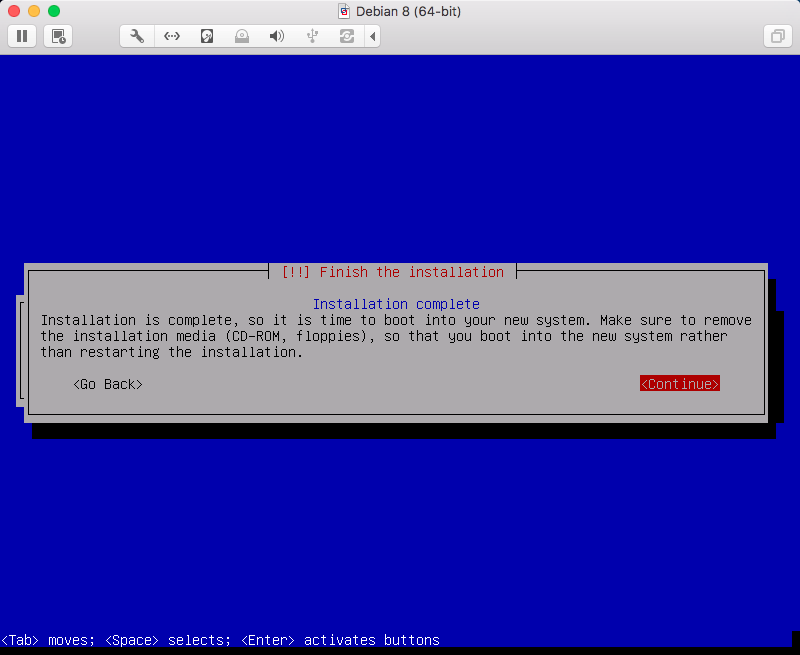 All that is left to complete the Debian virtual machine installation is to create a "snapshot" of the virtual machine. A snapshot basically stores the state of the virtual machine. For example, if you take a screenshot now, no display server, desktop environment, window manager, login manager, or any other packages are installed. Now, let's suppose that you installed the XFCE4 desktop environment and you decide that you want LXDE instead. If you "restore" the snapshot, you are basically going back in time to where you haven't installed anything! 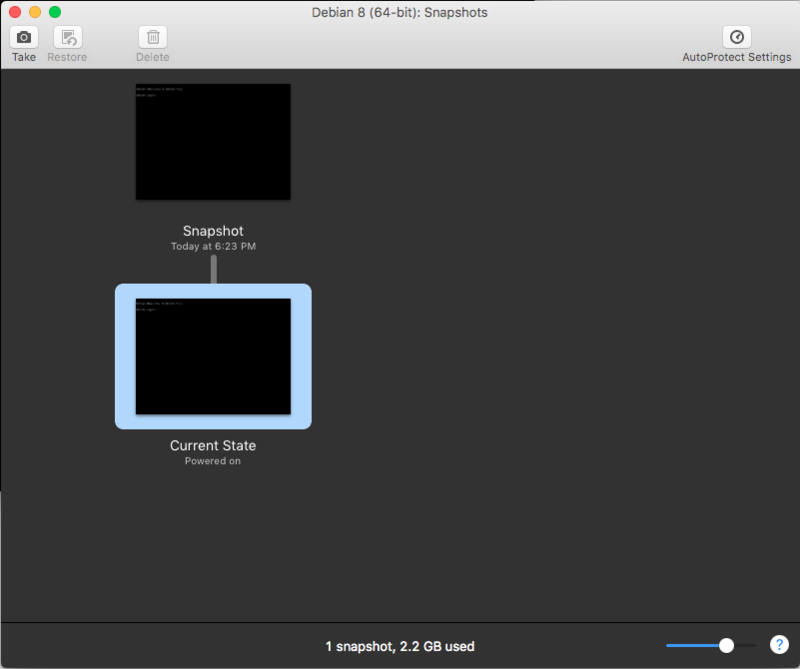 So before doing anything else at this point, create a snapshot of your Debian virtual machine. This will be your starting point. Refer to the documentation of your virtualizer if you do not know how to do this. As you can see, a snapshot has been saved and I can restore to it at any time. Remember, you can create snapshots whenever you want. That's it for the installation. 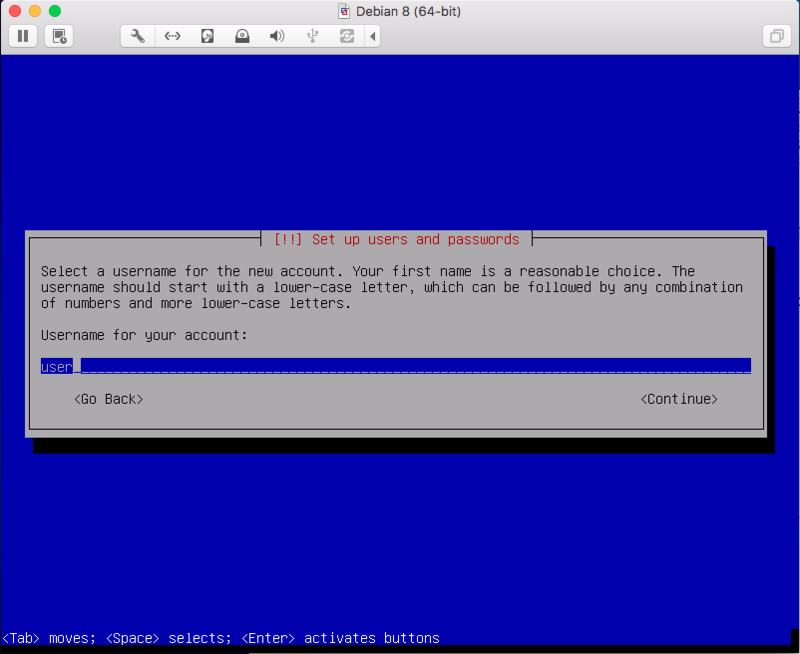 Now it's time to play with the Debian virtual machine! At this point, you don't have to do any steps I talk about here. You can just read along. 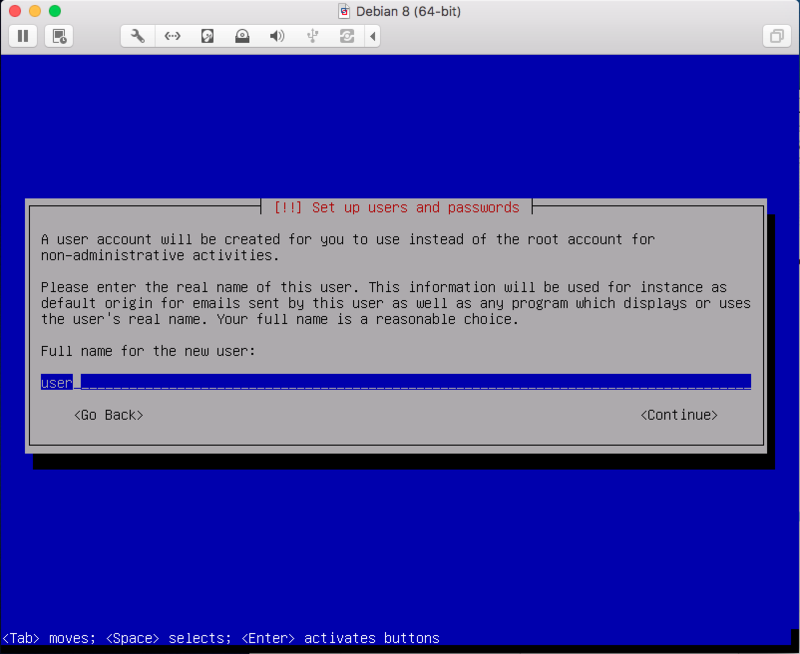 This is just to demonstrate what you can do with the Debian virtual machine. Now that we have created a snapshot, let's play around with the virtual machine. For this demonstration, let's install the XFCE Desktop Environment. To make things interesting, I will copy the exact same steps from the guide as if I'm running Raspbian Lite. Those are the packages that will have to install. Those are the packages that we will have to install. It looks like we have the exact same thing as if we did this on Raspbian Lite! In general, the whole point of this section is for you to explore how desktop environments work. You can delete packages, customize the GUI, and so on without having to worry about reformatting your SD / microSD card or having to leave the commodity of your standard computer. If you decide that you want to start all over, simply restore the snapshot you created. That simple. 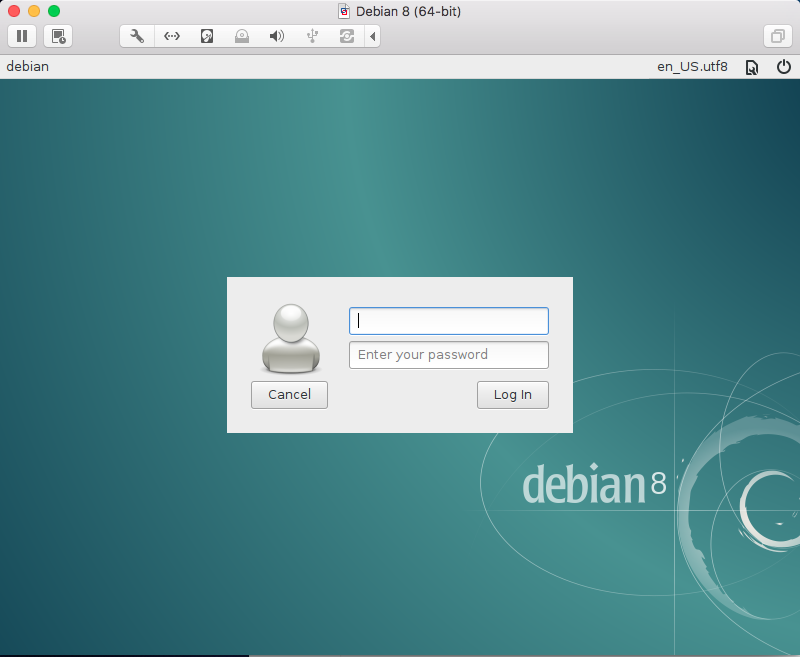 After you have created a perfect GUI setup on the Debian virtual machine, simply copy those steps you did and implement them on Raspbian Lite. 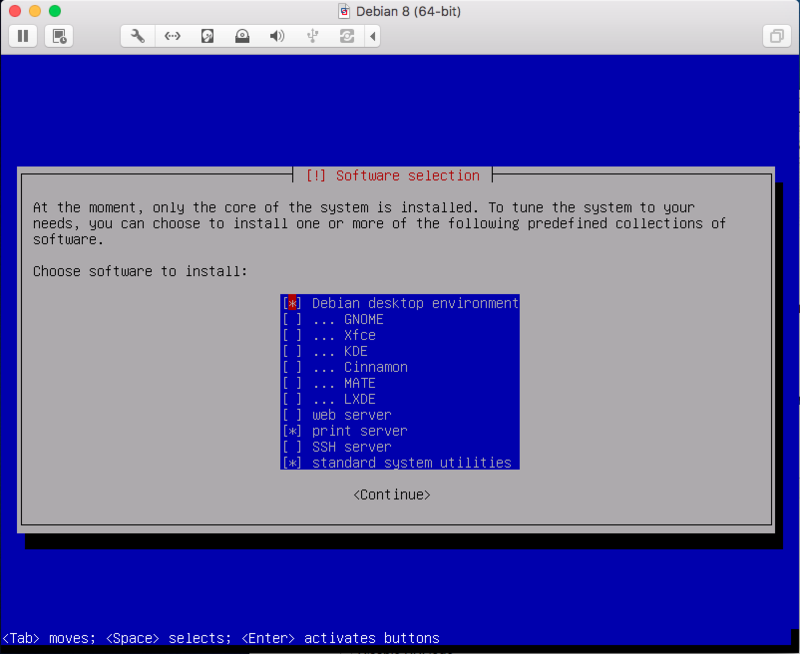 The Debian virtual machine is your test bench. Last edited by GhostRaider on Thu Mar 23, 2017 7:10 am, edited 3 times in total. Before you begin reading, this section assumes that you have formatted a fresh copy of Raspbian Lite on your SD / microSD card with no prior desktop environment installations. 1. Turn on your Pi and log in. The first thing we need to do before we create our custom desktop environment is to create a new user account. This is optional but it might be a good idea for security purposes. and press Enter. Replace USERNAME with the user name you want. 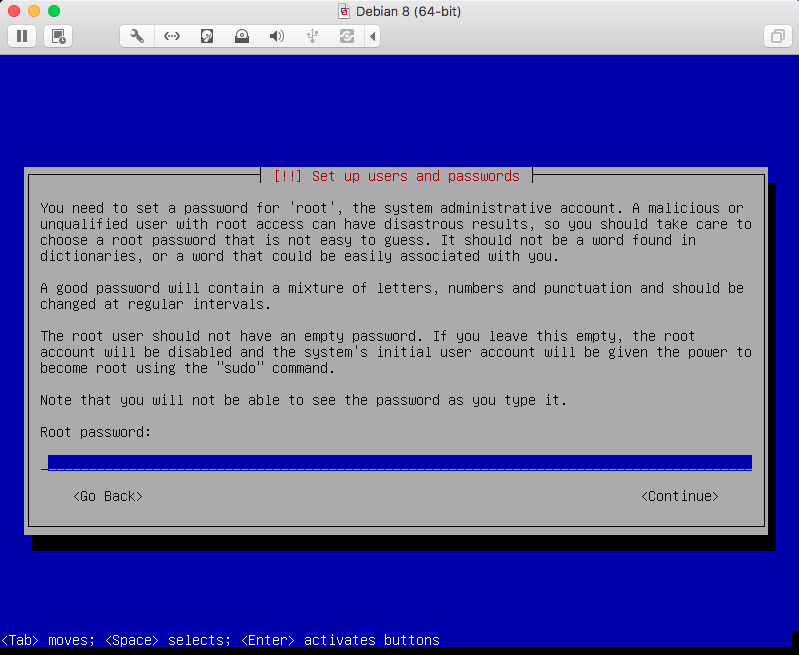 You will then be asked to create a new UNIX password. After you have verified the password for the user account, you will be asked to enter some information such as full name, room number, home phone number, etc. To be honest, you can just leave all of those blank. *Right Click > Open Image in New Tab to see full size image. and press Enter. You will see the groups that the default user account "pi" is in. and press Enter. Remember to replace USERNAME with the user name you created earlier. and press Enter. Log back in with the new user account. You are now ready to create your custom desktop environment! 4. We must now configure "startx" command so that it starts i3 WM whenever that command is executed. What startx does is that it checks for a file called ".xinitrc" in your user's home folder. This ".xinitrc" file contains commands that execute applications as well as window managers and desktop environments at startup. You need to create this file since it doesn't exist by default. In this file, what we are basically saying here is to execute the i3 window manager. In general, startx simply executes commands inside the .xinitrc file in order. Save the file by pressing CTRL+X, then press Y, and then press Enter to confirm file location and name. With the file saved, whenever you execute startx, it will start i3 WM. and then press Enter. You should see i3 WM on your screen. 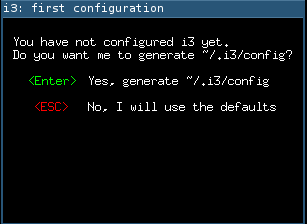 This prompt is asking for you to create an i3 config file. This file will be used to configure i3 WM. Press Enter. This next prompt is asking you to select which key to be your modifier key. It can either be your Windows key or Alt key. You can select one of these using the arrow keys on your keyboard. Then press Enter to confirm. Whenever you read the i3 WM documentation, you will notice that they use "$mod" plus some other key. The "$mod" just means your modifier key. 7. 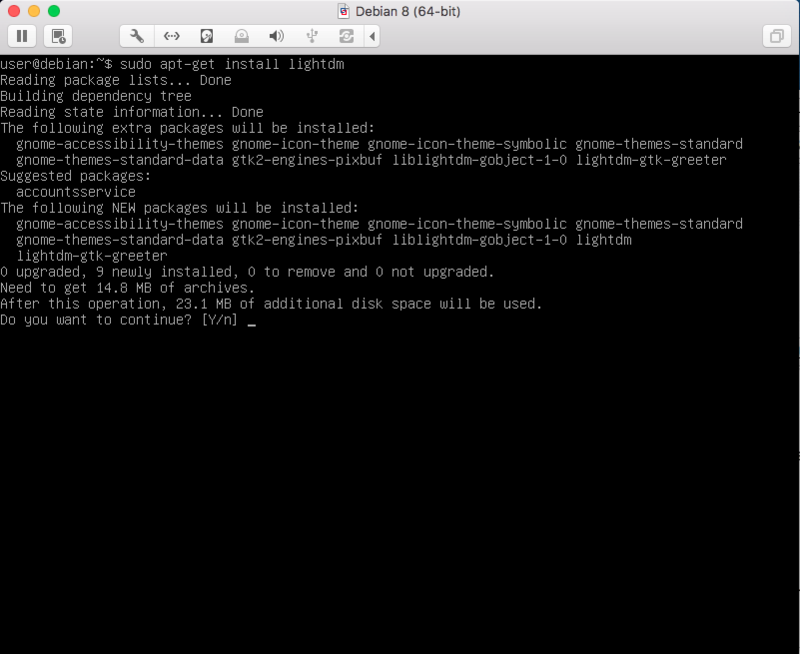 We are now ready to configure i3 WM to our needs. That is the desktop of i3 WM. 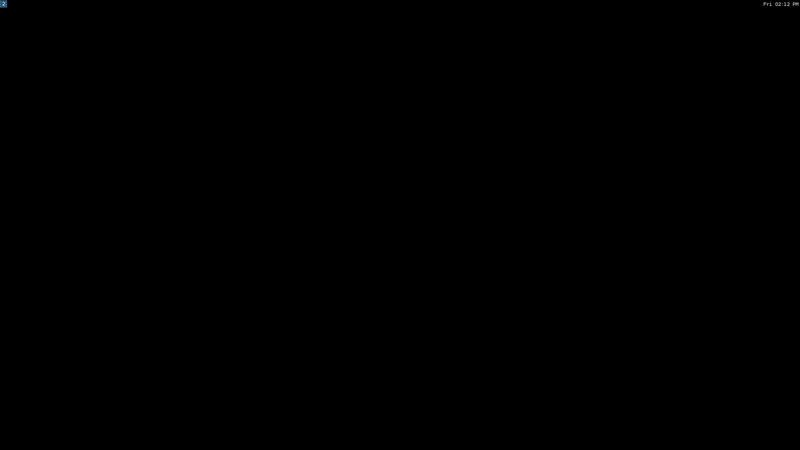 It's simply a black background with a status bar at the bottom. 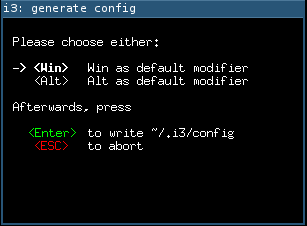 Remember, to open a Terminal window, press $mod + Enter (Modifier Key + Enter). Save the file and close Terminal. Now to see the changes, simply press $mod + Shift + R on your keyboard. format_up = "W: (%quality at %essid) %ip"
format_up = "E: %ip (%speed)"
format = "%status %percentage %remaining"
For example, to only show the time, these need to be commented using the # symbol except for "order += "tztime local". If we wanted to change the format of how the time is displayed, you need to edit the contents of "tztime local" scope. format = "%a %I:%M %p"
I went ahead further and customized it a bit more so that it looks nice. I changed the way Ethernet and Wi-Fi is displayed on i3status. This was an example of what you can do with i3bar and i3stautus. If you want to customize the bar further, refer to the i3 WM documentation. Last edited by GhostRaider on Fri Mar 24, 2017 11:13 pm, edited 9 times in total. Hi - thank you for this guide! I'm running Pixel on Pi 3 on Jessie Lite as per your instructions. I installed RealVNC server and I'm able to connect via both Windows 10 and Android with the RealVNC clients. I would like to run the Pi totally headless but X Windows/Pixel won't start without a monitor connected. How can I get this to start? (EE) Please also check the log file at "/home/pi/.local/share/xorg/Xorg.0.log" for additional information. This worked after some research"
Copyright (C) 2002-2016 RealVNC Ltd. Protected by UK patent 2481870; US patent 8760366. VNC Server catchphrase: "your catchphrase here." pgrunwald wrote: Hi - thank you for this guide! I'm running Pixel on Pi 3 on Jessie Lite as per your instructions. I installed RealVNC server and I'm able to connect via both Windows 10 and Android with the RealVNC clients. I would like to run the Pi totally headless but X Windows/Pixel won't start without a monitor connected. How can I get this to start? Glad you got it running! I haven't played around with VNC for a while. I remember I tried using my iPad as a monitor for the Raspberry Pi. It did work, I just had to change the resolution to fit the iPad screen. Thanks - can you tell me where I can find a list of Pixel commands/programs that are NOT installed with Jessie Lite? but that only gave me a few commands. this was useful but a little dated. pgrunwald wrote: Thanks - can you tell me where I can find a list of Pixel commands/programs that are NOT installed with Jessie Lite? Well you could always get the package list from a Raspbian installation. Then save that list later for reference. I did post the install command for Raspbian Config GUI in the extras section. Could you compare the Ram usage of a Raspbian Jessie versus Raspian Jessie Lite with Pixel? You only compared Raspbian Jessie Lite without Pixel to Raspbian Jessie Lite with Pixel. keltik85 wrote: Could you compare the Ram usage of a Raspbian Jessie versus Raspian Jessie Lite with Pixel?